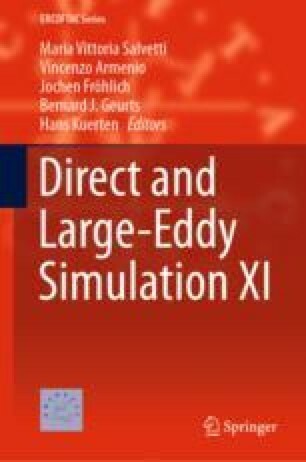 We consider the suitability of implicit large-eddy simulation (iLES) approaches via discontinuous Galerkin (DG) schemes. These are model-free eddy-resolving approaches which solve the governing equations in unfiltered form and rely on numerical stabilization techniques to account for the missing scales. In DG, upwind dissipation from the Riemann solver provides the baseline mechanism for regularization. DG-based iLES approaches are currently under rapid dissemination due to their success in predicting complex transitional and turbulent flows at moderate Reynolds numbers (Uranga et al, Int J Numer Meth Eng 87(1–5):232–261, 2011, , Gassner and Beck, Theor Comput Fluid Dyn 27(3–4):221–237, 2013, , Beck et al, Int J Numer Methods Fluids 76(8):522–548, 2014, , Wiart et al Int J Numer Methods Fluids 78:335–354, 2015, ). However, at higher Reynolds number, accuracy and stability issues can arise due the highly under-resolved character of the computations and the suppression of stabilizing viscous effects. RCM would like to acknowledge funding under the Brazilian Science without Borders scheme. JP and SJS acknowledge support from the Engineering and Physical Sciences Research Council (EPSRC) under grant EP/L000407/1. SJS additionally acknowledges support as Royal Academy of Engineering Research Chair under grant 10145/86.